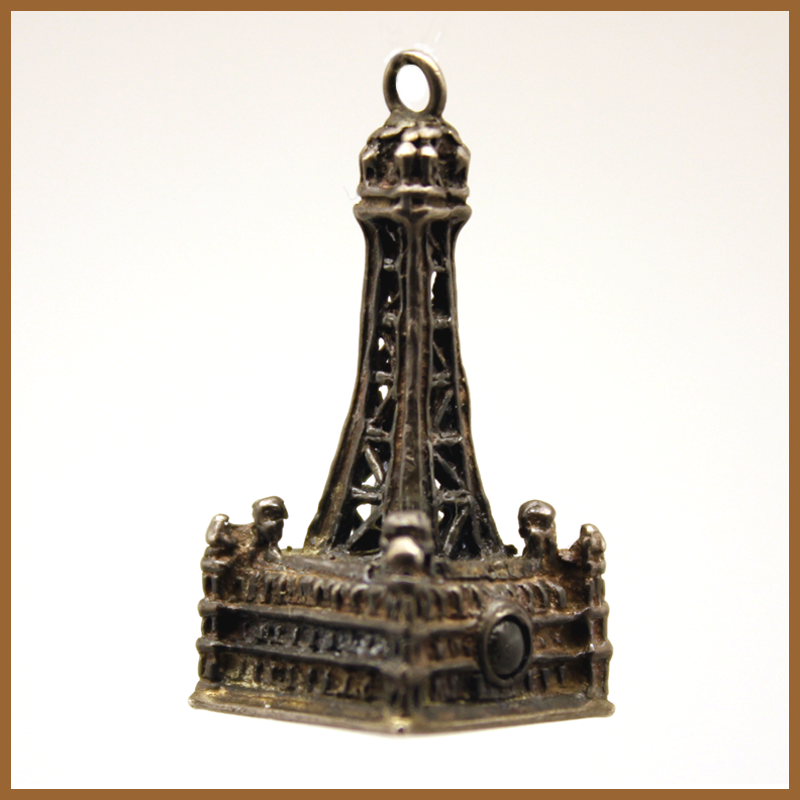 This is a miniature replica of the Blackpool Tower is a tourist attraction in Blackpool, Lancashire, England, which was opened to the public on 14 May 1894. 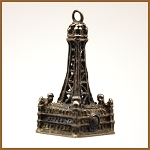 It was inspired by the Eiffel Tower in Paris. 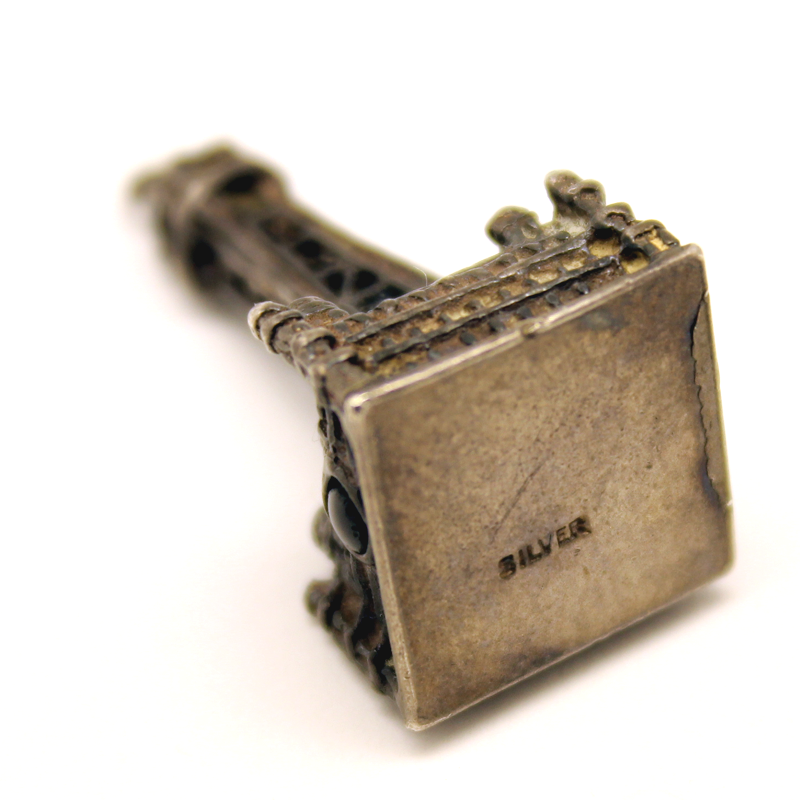 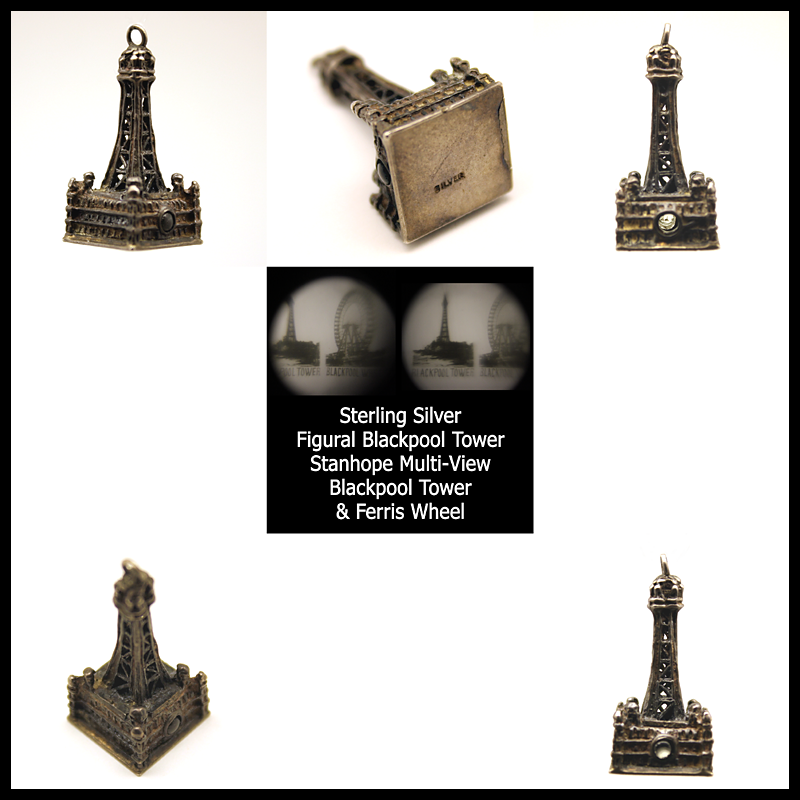 The tiny tower is a incredibly detailed sterling silver piece that hides a picture with two views inside it's stanhope "peephole". 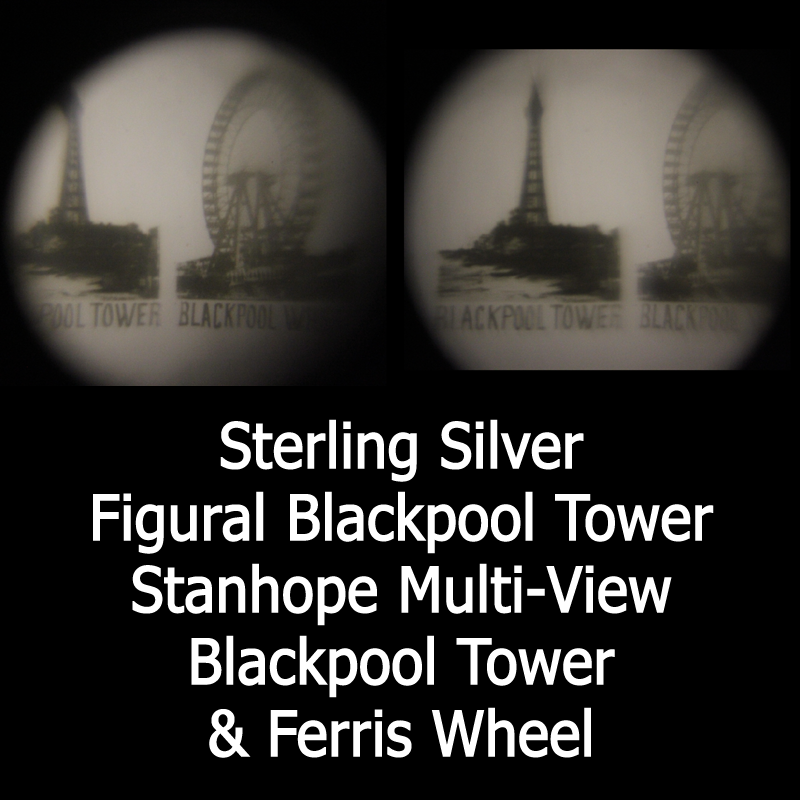 One is of the Blackpool Tower itself and the other is a view of the Blackpool Ferris Wheel designed in 1896 by Mr. W. B. Bassett for the owners of Winter Gardens, in an effort to compete with the tower. 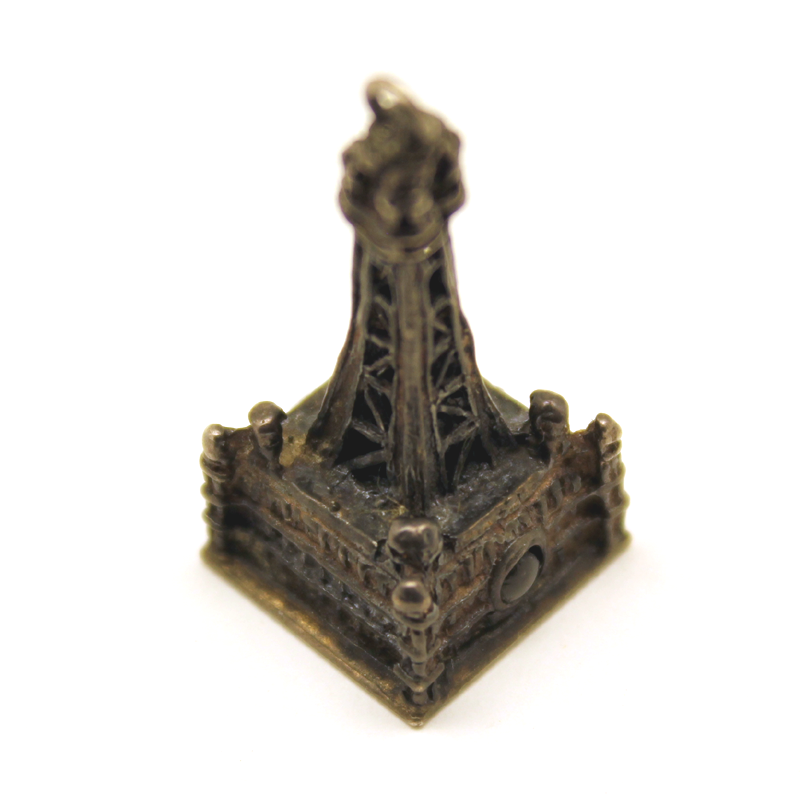 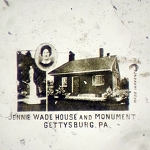 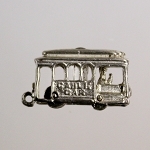 The tower can be easily used as a conversation piece on your desk or as a charm or pendant.